An A&E unit exposed by the Sunday People for ordering patients to go home unless they were dying has been criticised by watchdogs. Staff at the North Middlesex Hospital faced criticism after stricken patients were turned away despite waiting up to seven hours on hospital trolleys . In February a shocking message was broadcast over the loudspeaker system in an ­alarming new low for the ­over-stretched NHS . Our revelations in February sparked an urgent probe by the Care Quality Commission (CQC). The watchdog found the hospital is struggling to provide a safe and effective service on a daily basis and ordered the trust’s embattled chief executive Julie Lowe to make improvements by August 26. Inspectors found there were delays in the initial assessment of patients, in their assessment by a doctor and in moving them to specialist wards. It also emerged there were “insufficient middle grade doctors and consultants”. The CQC’s deputy chief inspector of hospitals, Prof Edward Baker, said: “People going to the emergency department at the North Middlesex University Hospital NHS Trust are entitled to a service that is safe, effective and responsive. “When we inspected we found that patients were not receiving the quality of care that they should have been. “We have strongly encouraged the trust to engage with other organisations across the local health and social care system to resolve this challenging issue. In February the Sunday People reported how the department struggled to cope with more than 150 patients. One eyewitness said he saw more than 100 people in the waiting room in addition to dozens in the treatment areas and cubicles. At one point there were a dozen patients on trolleys lining the wall along the department because all cubicles were full. Many had been on trolleys for hours. At 11pm a message went on the tannoy saying that the wait to see a doctor was eight hours for adults and six hours in children’s A&E. The North Middlesex has one of the worst records in the country for meeting national four-hour treatment targets. It has struggled to meet demand since the Coalition Government allowed the closure of the A&E at Chase Farm Hospital, six miles away, in December 2013. Earlier this year we revealed paramedics at North Middlesex were forced to wait for hours in A&E with patients because of a trolley shortage. 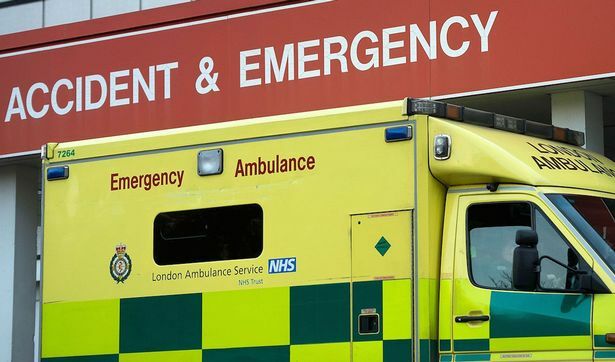 The hospital saw 68% of A&E patients within four hours in March, the worst performance in London. It rose to 72% last month, but the NHS target is 95%. 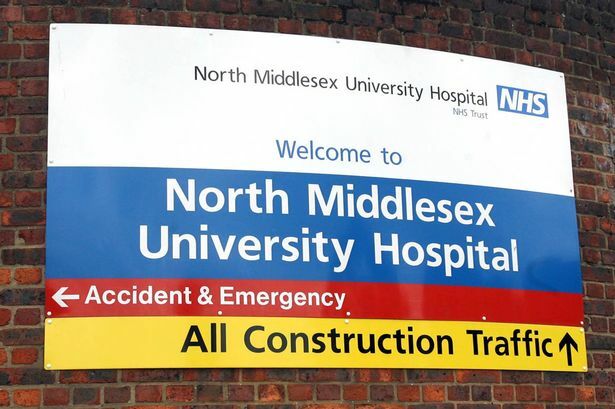 Critics see the failure at North Middlesex as a reflection of a national A&E crisis which many blame on a lack of resources from the Government. Last November we reported how patients at Northumbria Specialist Emergency Care Hospital, in Cramlington, were waiting for hours in corridors. And in a separate fiasco, so many ambulances were queuing at nearby Barnet Hospital that they had to park on a roundabout in the hospital grounds.